Sometimes you just can’t avoid travelling light - when you go on an expedition, a climbing & mountaineering trip, or a holiday with the family. But just like you don’t want to carry a heavy backpack that weighs empty 3 kg you also don’t want a heavy duffle bag. Happily Arc’teryx thinks like that too - and has designed the one duffle which rules them all: The Carrier Duffle Series. 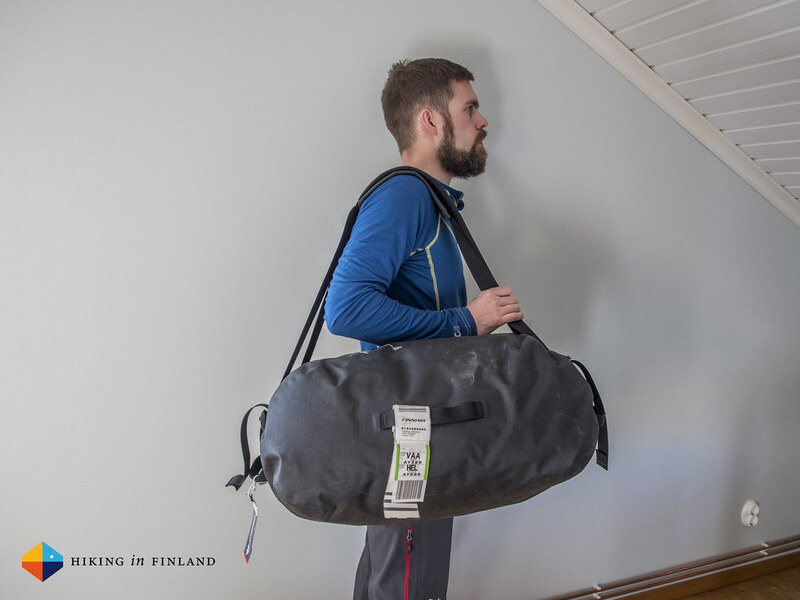 The Carrier Duffle 100 l duffle weighs just 689 g empty, with the 50 l duffle being 538 g and the small 36 l duffle being 383 g. If you compare this with other duffles on the market you realize that these are quickly one kilogram or more empty. While in comparison with a suitcase or one of these wheeled luggage carriers that’s still “light” I always found that still too heavy and was using a large waterproof stuff sack to transport big amounts of gear. That was until I found the Arc’teryx Carrier Duffle. Besides being ultralight it is also waterproof. If you’re out with a pulka in winter, canoeing with kids or camping in the Alps, wetness is always a possibility so a waterproof duffle is mandatory for me. The Arc’teryx Carrier Duffle has taped seams and is made from N400r-AC2 nylon 6 ripstop fabric, which I have found to be highly waterproof on my excursions. The material is also really durable and can take the hardest abuse on the planet: Airport luggage handlers. These guys don’t seem to know how to treat gear gently, and I have often enough seen my gear tossed & thrown on the conveyor belt - or next to it. 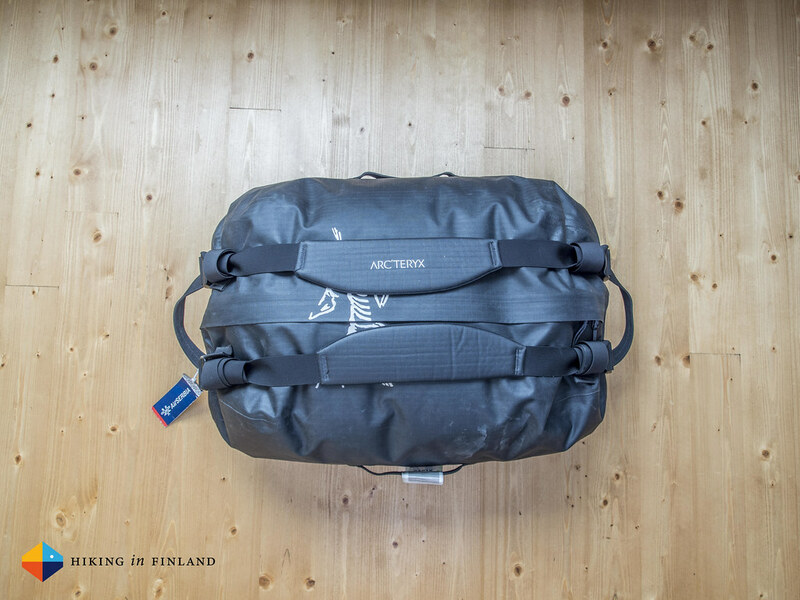 My 50 l duffle has been across Europe with me in the last two years and besides a bit of dust - it still is like new. 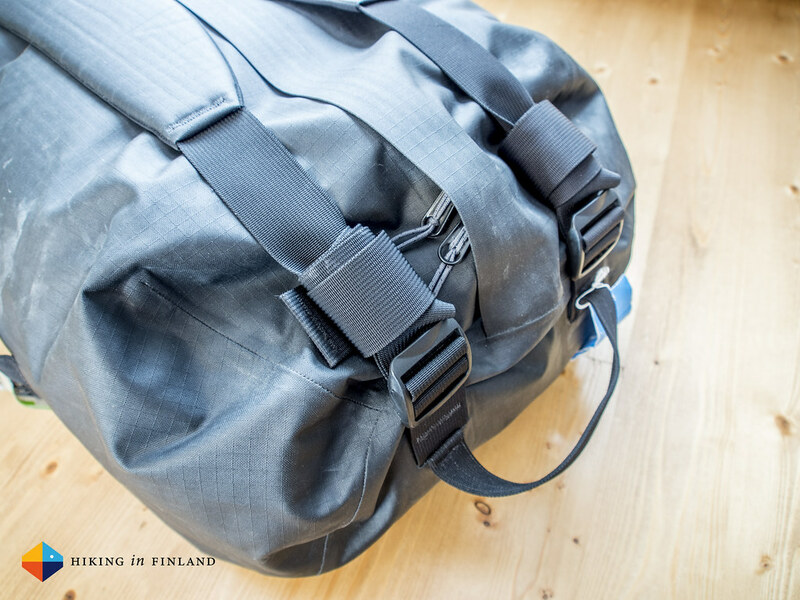 The inside of the duffle is white which makes it easier to find stuff, and the large zipper makes it easy to pack. The cords of the zippers can be treaded together or can take a lock if you want to make sure that nobody gets inside without permission. What is also important with a duffle for me is the ease of carrying. 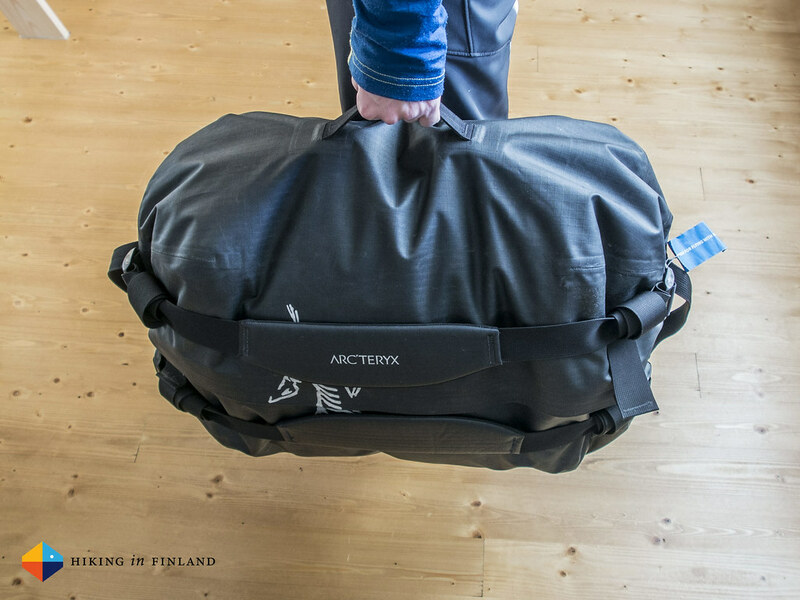 The Arc’teryx Carrier Duffle can be worn like a backpack which is great for walking from terminal to terminal at the airport or hauling gear to camp or the canoe. It also can be worn over the shoulder which is OK with the smaller models, though I find pulling the straps tight, rolling the ends to get them out of the way and carrying it at one of the four haul loops more comfortable than over a shoulder. These haul loops also are great to attach the duffle to e.g. a donkey or canoe. What could be better? Well, for starters I would wish the carrying straps would be treaded just the other way around, so that the long, lose end can be easily stowed underneath the cushioned carrying strap and don’t hang around. I also think the duffle would be even easier to pack if it had a U-Zipper, though this likely would increase the weight a bit - but would making finding something and packing the pack in an orderly fashion easier. The Bottomline: The Arc’teryx Carrier Duffle is a simple and useful piece of kit if you need to transport large amounts of equipment. 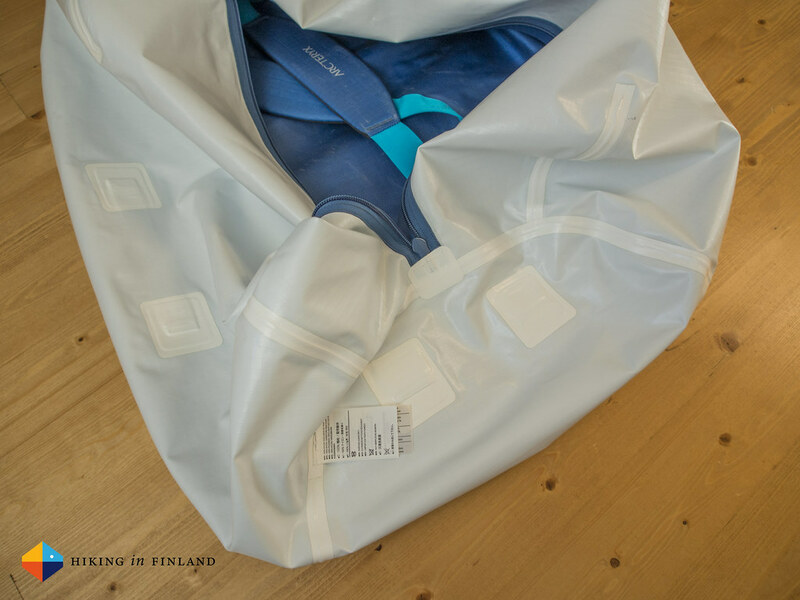 It is waterproof, ultralight & swallows large amounts of gear and ensures the content arrives safely & dry at your destination. 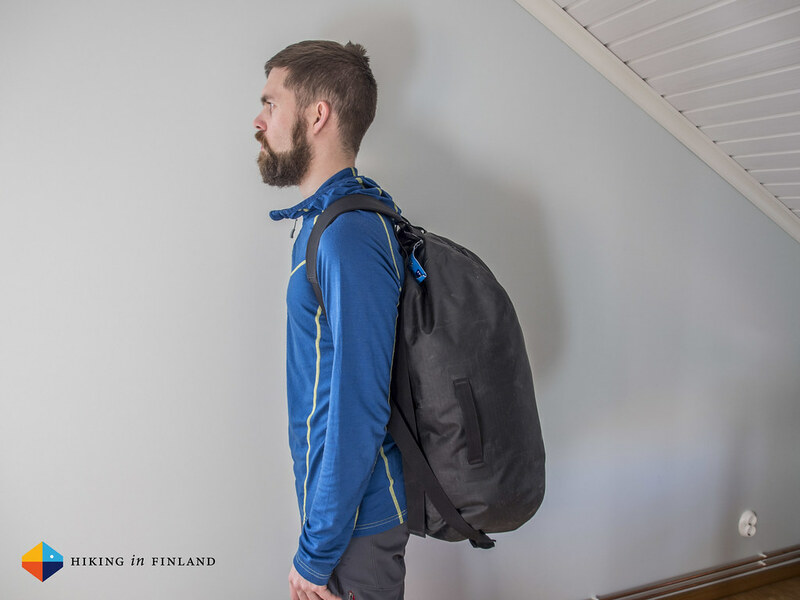 You can wear it like a backpack, over the shoulder or on one of the haul loops, it looks very minimalistic & stylish and is an excellent choice to transport gear on expeditions, family travel holidays and climbing trips. 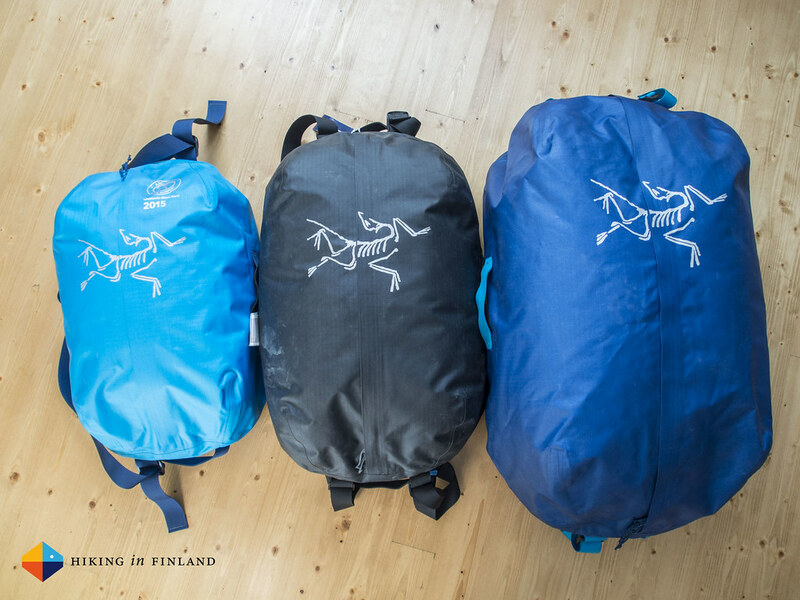 Available in four sizes and plenty of cool colours there’s a Carrier Duffle for any need, so get one if you are not always travelling ultralight! 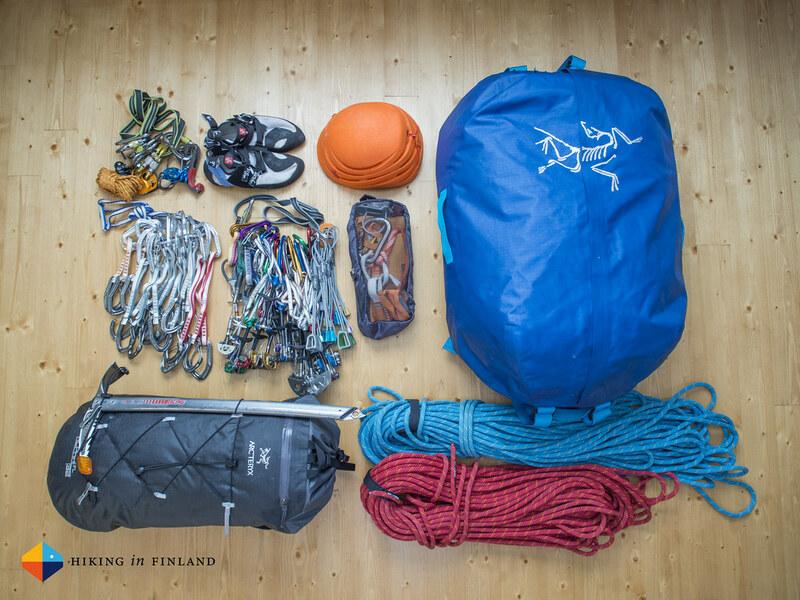 Buy a Carrier Duffle 50 at Bergfreunde, Backcountry, Bergzeit, CampSaver and REI - All On Sale! Buy a Carrier Duffle 100 at Backcountry, Bergfreunde (On Sale for 75€! ), CampSaver or REI. Disclaimer: The Arc’teryx Carrier Duffle 100 was provided to me by Arc’teryx for free, but I was under no obligation to review it. This article represents my objective view.